Perth-based telecommunications provider Vonex Limited (ASX:VN8) commenced trading on the ASX yesterday, under the code VN8 and option ticker code VN8O. 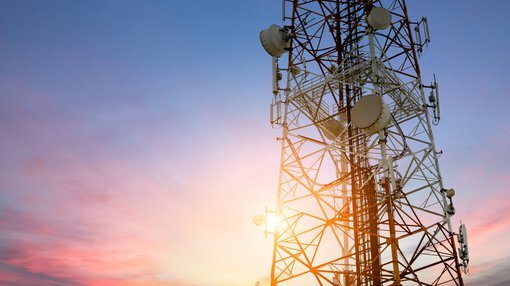 As stated in the announcement, VN8’s listing “represents the culmination of hard work and support from various stakeholders” with management seeing it as a transformational step forward for the telco provider and industry innovator. VN8 is now well funded following the A$6 million IPO, providing the opportunity for it to turn its focus towards expanding its business units, as well as the development of new cutting-edge products. “I would like to take this opportunity to thank everyone for their support over the last couple of years and extend special thank you to Alan Hill and State One Equities for their efforts in supporting the IPO. Today is a truly momentous day for Vonex and we look forward to providing further updates in due course,” Managing Director, Matthew Fahey said. It should be noted that Vonex remains a speculative stock and investors should seek professional financial advice if considering this stock for their portfolio. Now that it’s landed successfully on the ASX, the company will be concentrating on three main areas as detailed below. The company intends to kick-start its expansion plans through its retail business Vonex Telecom. Accelerated efforts towards its marketing and channel partners will be designed to maximise the opportunities inherent within the rollout of the NBN over the next three years. The NBN is currently being rolled out in high-density city areas, which will cause a ‘churn event’ (compulsory change in internet connections and therefore the opportunity to change providers) impacting a large number of small to medium enterprises, which is VN8’s target market. As all Australians will be required to change from the old copper network to the NBN, there will be an unprecedented opportunity for smaller, newer providers like VN8 to get noticed by customers seeking the best internet package available. The small-cap has an existing channel partner program through which its products are promoted to customers, however the company will be further expanding the program to drive additional sales, while also kicking off its own aggressive marketing campaign in parallel. VN8 has been hard at work developing a social media app called Oper8tor, which is currently in the Alpha stage with plans to enter the Beta trial stage in the near-term. The small cap sees significant potential for the proprietary App, as the only one of its kind in the world which allows multiple social media voice apps to operate seamlessly together. The third area of focus for VN8 now that it’s gone public will be its wholesale business. The company plans to conduct a thorough evaluation of this division as a first step towards expanding the products and services it offers. It is this division where VN8 sells its proprietary voice, VoIP, PBX and advanced features tech on a white label basis to clients (other telcos in particular), which can be subsequently on-sold under their own brand. The plan for its wholesale vision will be to attract new white‐label carrier businesses to the group, both in Australia and overseas.